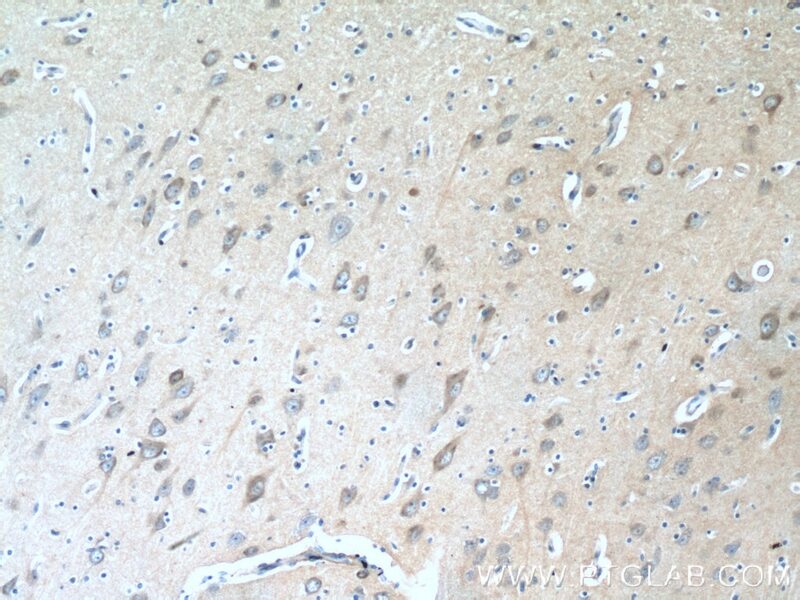 Immunohistochemical analysis of paraffin-embedded human brain tissue slide using 12246-1-AP( TAGLN3 Antibody) at dilution of 1:200 (under 10x lens). 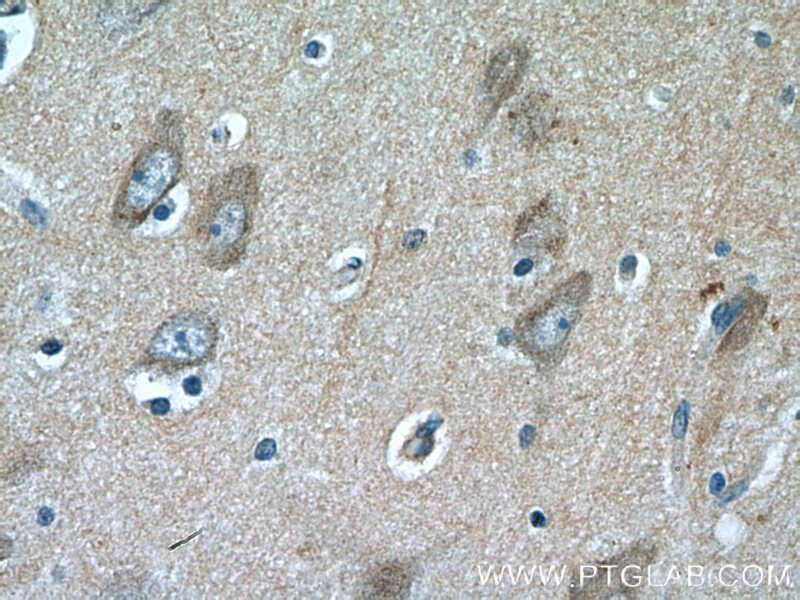 Immunohistochemical analysis of paraffin-embedded human brain tissue slide using 12246-1-AP( TAGLN3 Antibody) at dilution of 1:200 (under 40x lens). The transgelin family is a group of proteins that belong to 22kd actin-related corpnin superfamily. Of all three isoforms, transgelin 1 is the best characterized. Transgelin 1, also known as SM22alpha, is a specific marker for differentiated smooth muscle cells. Transgelin 2, also known as SM22 beta, is expressed by both smooth muscle and non-smooth muscle cells in a temporally and spatially regulated pattern. Trangenlin 3, also known as NP25, is only found in highly differentiated neuronal cells. 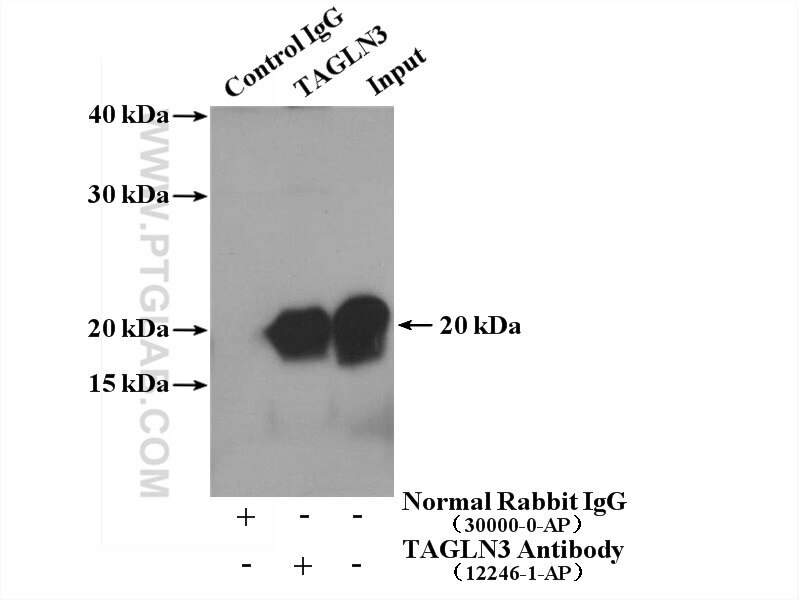 This antibody was generated against full length transgenlin 3 protein. It may cross-react with other two transgenlins based on the sequence similarity. microRNA regulatory circuits in a mouse model of inherited retinal degeneration.